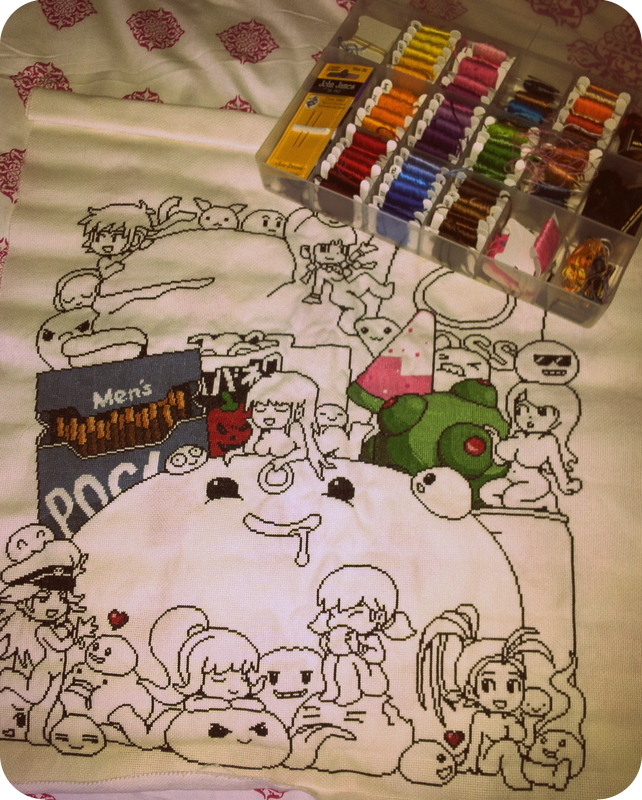 This has to be the biggest project I’ve undertaken so far… and it’s still far from complete. Hunting for pixel pictures on the interwebs I stumbled across the amazing works of Paul Robertson; the man has crazy skills with pixels! 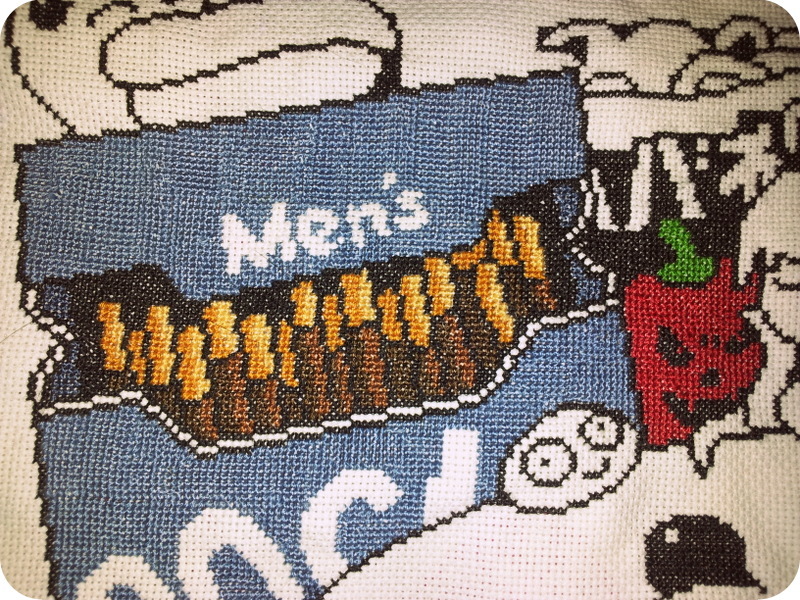 I decided that I had to turn a hand at transforming his work into a cross stitch of grand proportions and got to stitching! Once complete this will measure about 60cmx60cm. First girl complete! I’m breaking the rules of completing the dark colours first!! 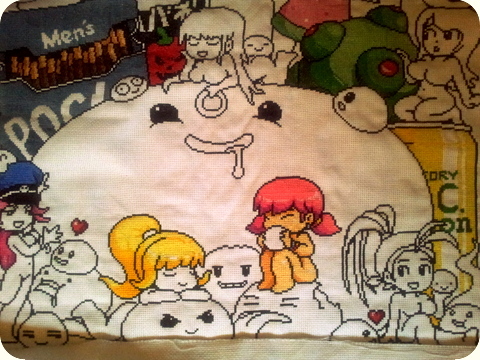 Getting some colours in on the bottom half is spurring my stitching hand on! capcom vs snk vs xstitch catwoman vs x-stitch one wolf, no moon ding!!! this is epic. did you finish it? Thanks Just updated so as you can see not yet but hopefully it will be finished in the not too distant future… just need to find more sitchun’ time! That is some amazing patience, and it is paying off. Just recently found his work, and was amazed, this is equally amazing. Great work. thank you very much! Patience is certainly a pre-requisite but the end result will be worth it! The man is a pixel god for sure, already tingling to do more of his stuff in cross stitch! This is beautiful work. You’re really doing the original justice!